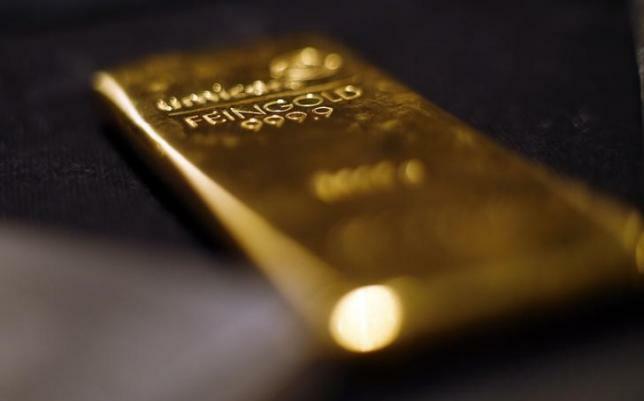 SINGAPORE – Gold was firm near $1,185 an ounce on Tuesday, clinging to overnight gains as Greece’s failure to strike a deal with its creditors triggered safe-haven bids and soft US data. Spot gold was steady at $1,185.80 an ounce by 0219 GMT, after gaining 0.5 percent on Monday. The metal traded in a narrow range as investors awaited more cues from a Federal Reserve policy meeting that kicks off later in the session. “Heading closer to this weeks’ FOMC meeting, the $1,170 to $1,195 range is still in play,” said MKS Group trader Sam Laughlin, referring to the Fed’s Federal Open Market Committee. “The yellow metal may be subject to risk on/off plays should anything concrete come out of the ongoing (Greek) debt negotiations, however the price action will most likely be dollar driven,” he said. Investors will be closely monitoring comments from the Fed chair Janet Yellen for clues on when the US central bank could raise interest rates, which are currently near record lows. Bullion hasn’t been able to make much leeway in the past few months, weighed by uncertainty over the timing of a rate hike. Higher rates would diminish demand for non-interest-paying bullion. US economic data on Monday showed softness in industrial production, contrasting starkly with recent upbeat data on retail sales, employment, consumer and small business confidence. Greece and its creditors hardened their stances on Monday after the collapse of talks aimed at preventing a default and possible euro exit, prompting Germany’s EU commissioner to say the time had come to prepare for a “state of emergency”. Athens now has just two weeks to find a way out of the impasse before it faces a 1.6 billion euro repayment due to the International Monetary Fund, potentially leaving it out of cash, unable to borrow and dangling on the edge of the currency area. Stock markets around the world fell on Monday, pressured by the collapse of 11th-hour talks between the near-bankrupt Greece and its creditors, with investors worried about the possibility the country could default. Gold was well-bid as it is often seen as an alternative investment during times of financial and economic uncertainty. Bullion exchange-traded funds, however, continued to see outflows. SPDR Gold Trust, the top gold-backed exchange-traded fund, said its assets fell 0.3 percent to 701.9 tonnes on Monday, the lowest since 2008. Persistent outflows can undermine any price rallies.